Super Smash Bros Ultimate looks to be the most definitive entry into the series yet. With more than 70 fighters to play with, on over 100 stages, there’s plenty for Smash fans to sink their teeth into. As with any new Smash game, there have been some pretty significant changes to the way most of the fighters play, and that’s not even including all of the brand new characters that have been added in. To help you get settled back in with your favorite fighters, and to give you the lowdown on all of the new ones, we’ve been busy pulling together character guides. In this Super Smash Bros Ultimate Wario Guide, we’ll be looking at the changes to Wario since his last appearance. We’ll also detail his Final Smash, and Alternate Costumes. Wario is back for Super Smash Bros Ultimate, and has been through a fair few changes since last time. He last appeared in SSB4, but has also featured in Super Smash Bros Brawl. Let’s take a look at how Wario handles in Super Smash Bros Ultimate. How can Wario not be your favorite character in Super Smash Bros. Ultimate? Just below, you can find a full table of all Wario’s moves in the game. 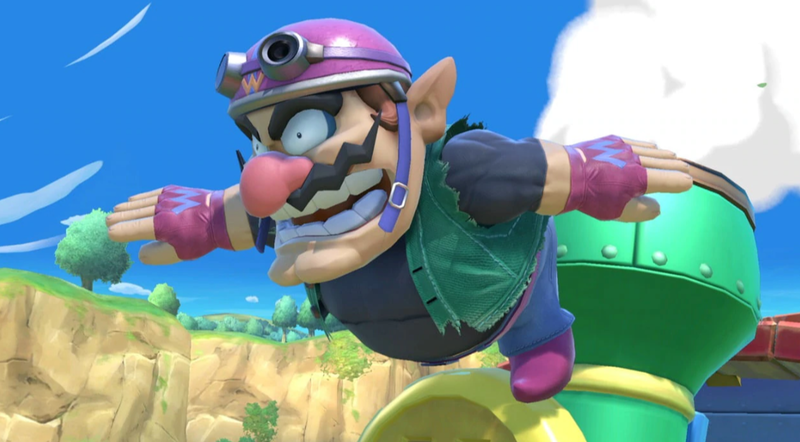 Just like all returning players in Super Smash Bros Ultimate, Wario has gone through a number of changes since his last appearance. Certain animations have changed, as has some of the details of his Final Smash. We’ve listed all of the changes we’ve noticed to Wario, below. Several animations have changed including down taunt, jumpsquat, forward smash, throws, and Wario Waft. Speaking of Wario Waft, Wario now turns around after launching it at full-charge. Wario’s Chomp attack can heal him when eating projectiles. 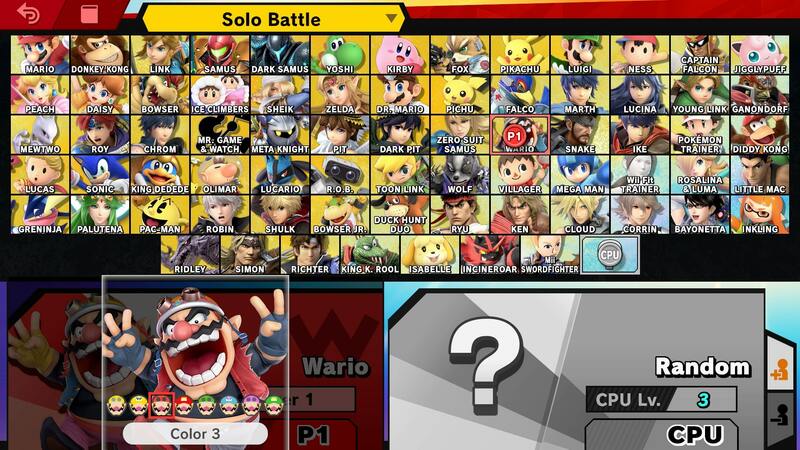 Much like the rest of the Super Smash Bros Ultimate roster, Wario comes packed with several Alternate Costumes. His are a little more detailed than most of the other fighters, with variations of both his new denim jacket look, and his classic outfit being offered. There are red, yellow and green versions of his new outfit, and yellow, red, pink and blue versions of his classic outfit. You can check out the new green variant in the image embedded above. 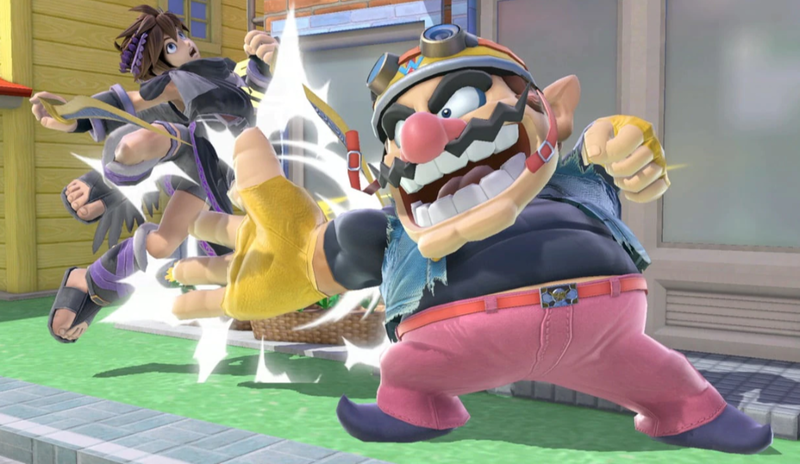 Wario’s Final Smash in Super Smash Bros Ultimate is Wario-Man, which is the same one he used in SSB4. There have been some changes though, in that there is now a comic book-style visual accompanying the attack. We’ll be bringing you footage of the new version of Wario-Man once we get our hands on the game. That’s everything we know about Wario in Super Smash Bros Ultimate. We’ll be updating this guide as we learn more about the game, so stay tuned for further details. For more on the game, head over to our Super Smash Bros Ultimate Guides Hub.